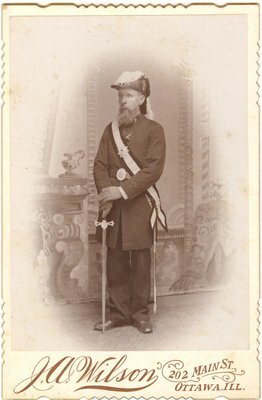 A photograph of Willie Wilson from the photo album belonging to Margaret McCague Wright and her husband William Ashford Wright. J. A. Wilson & August F. Gerding, in Ottawa, Illinois. Front side: J. A. Wilson 202 Main St Ottawa, Ill.